healthy breakfast gone bad, originally uploaded by aarn! +12th March, 2008+. 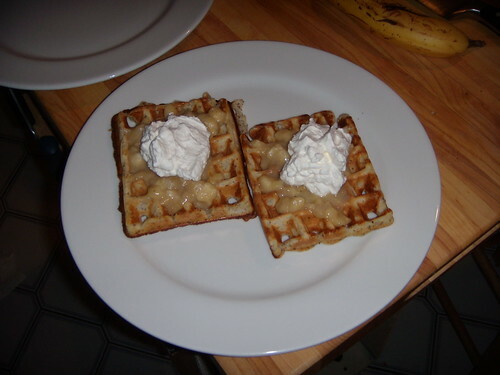 made some yogurt based waffles with flaxseed meal, topped them with a warm banana sauce (something my dad used to make: mashed bananas, a little butter, a little brown sugar), and a dollop of lightly-sugared whipped cream.